Arsenal are set to offer Jack Wilshere a new contract this summer and that will ultimately ruin Pep Guardiola’s plan to capture the England international as a free agent. 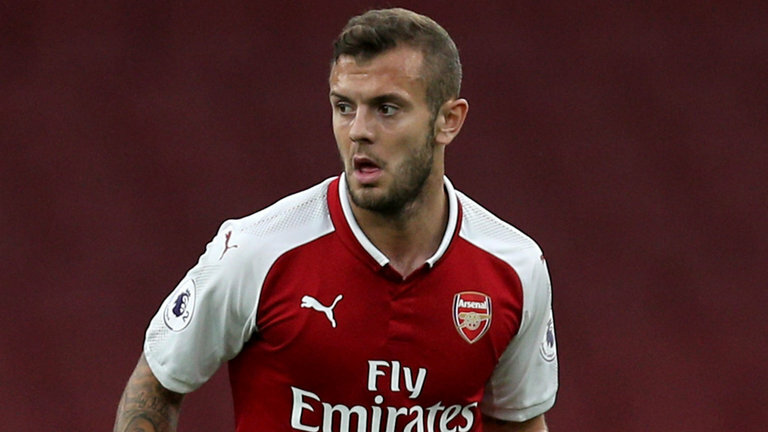 It is understood that Arsenal were not willing to renew Wilshere’s contract due to his recurring injuries and loss of form in the early part of the season but things seem to have changed now as the 26-year-old remains one of the best performers in Arsene Wenger’s team so far this summer. Having seen the impressive performances from Wilshere, Arsenal board of directors are reportedly working on offering him a new one-year contract so as to keep him away from many suitors – including Manchester City and Liverpool. Juventus and AC Milan are also believe to make a shock move for his signature as both clubs want to add more quality to their midfield’s set-up. Despite having the best midfielders in the League this season, Manchester City boss Pep Guardiola is hoping he could convince Wilshere to join him at the Etihad Stadium next season when he would be defending the title he won with the Citizens this season. Liverpool manager Jurgen Klopp is also aiming to sign the player as replacement for Emre Can who is believed to be moving to Juventus by the end of the campaign.